All Eritreans are invited to the graduation party. 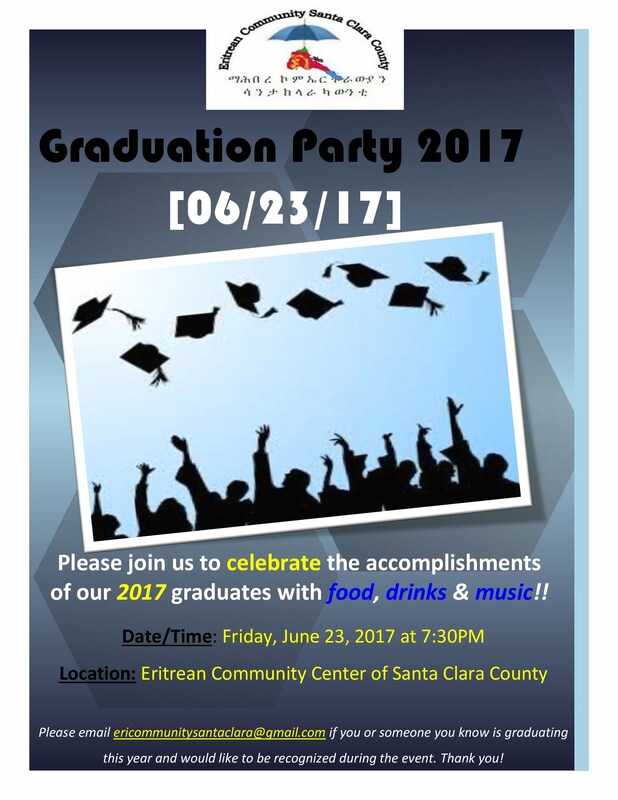 Let us show our support and celebrate together at this special event at our Eritrean Santa Clara Community Center on June 23, 2017 at 7:30 P.M. They have reached a milestone in their life despite language and cultural obstacle. Congratulation !! !